Setouchi Ryori Suminoe was featured in Food & Wine’s Tokyo City Guide in the May 2011 issue. The fourth generation chef, Yasufumi Ootani, from a Hiroshima ryokan (traditional guest house), Suminoe Ryokan, has opened a restaurant in Tokyo. 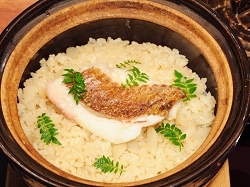 Seafood is flown in daily from the Setonaikai area (inland Sea of Japan). 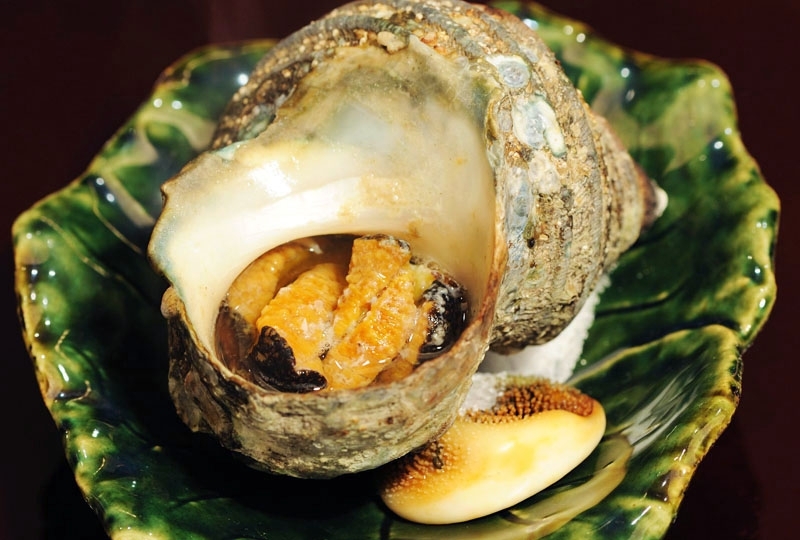 Sazae (turban shell) grilled in its shell, oysters steamed in sake served with ponzu, and tairagai (pen shell) in a savory custard (chawanmushi). Jizake (local sake), like Taketsuru, from Hiroshima is the perfect partner for the local seafood. Closed for lunch, dinner kaiseki from 8,000 yen. 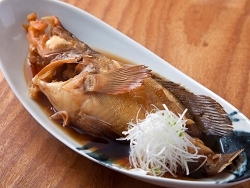 Seafood to look for from this region include kaki (oysters), iwashi (sardines), madai (sea bream), tako (octopus), tachiuo (cutlass fish), anago (conger eel), and mebaru (rockfish).